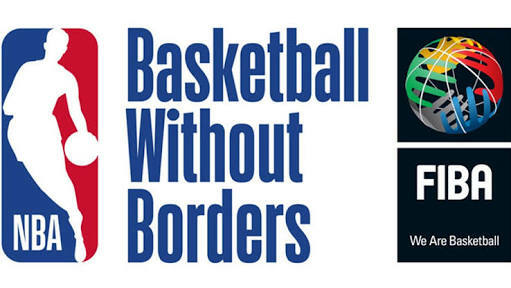 The NBA and FIBA tipped-off the 10th edition of Basketball without Borders Asia Camp this morning at the at The NBA Academy India, Delhi NCR. Sixty-six top high-school age boys and girls from 16 countries and territories across Asia took the court and had the opportunity to learn from Corey Brewer (Oklahoma City Thunder; U.S.), Caris LeVert (Brooklyn Nets; U.S.), Kelly Olynyk (Miami Heat; Canada; BWB Americas 2009), Dwight Powell (Dallas Mavericks; Canada), two-time WNBA Champion Ruth Riley, and former WNBA player Ebony Hoffman. Indian players Satnam Singh and Oklahoma City Blue and Indian player Amjyot Singh were also on hand to coach the top high school age campers from throughout the Asia-Pacific region. Current NBA assistant coaches Bret Brielmaier (Nets), Darvin Ham (Atlanta Hawks), Ryan Saunders (Minnesota Timberwolves), and Mike Wells (Utah Jazz) are serving as BWB Asia 2018 coaches. Patrick Hunt (President of the World Association of Basketball Coaches; Australia) is the camp director. Casey Smith (Mavericks) is the camp’s athletic trainer. The players and coaches led the campers through a variety of activities on and off the court, including movement efficiency, positional skill development, shooting and skills competitions, 5-on-5 games. In the afternoon, as part of the NBA’s community outreach efforts, a basketball clinic was conducted for more than 85 youth from the Reliance Foundation Jr. NBA program to promote cultural understanding while teaching the importance of a healthy, active lifestyle and the values of the game, including teamwork, respect, determination and community.